Oh man. Just when you think we’ve capped out on cool here comes Vivian, Wei. Vivian joined the DySiTeam back in October as our lone ranger Field Marketing Manager and we honestly couldn’t’ have been more thrilled to welcome her to the squad. There are some very obviously thing you learn about Vivan in the first sixty seconds of meeting her. She’s incredibly kind. We’re talking nicest-person-on-the-planet, kind. And she is beautiful. (Obviously) She’s also compassionate, thoughtful, smart, organized AF, and super passionate about her work. An articulate investor in people, Vivian is someone with whom you want to be friends the min you meet her. But, thanks to #DySiRFF we’ve discovered some new things about Miss Wei… or should we say, “Miss San Francisco”? 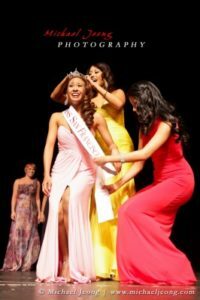 Yes, this pageant queen entered the Miss San Francisco pageant out of curiosity and won the crown and the hearts of San Francisco like she’s won the hearts of her Dynamic Signal colleagues. To learn even more fun facts about Viv, check our her Rapid Fire Friday interview in the video below. And if you want to join her on our rapidly growing marketing team, check out our careers page!